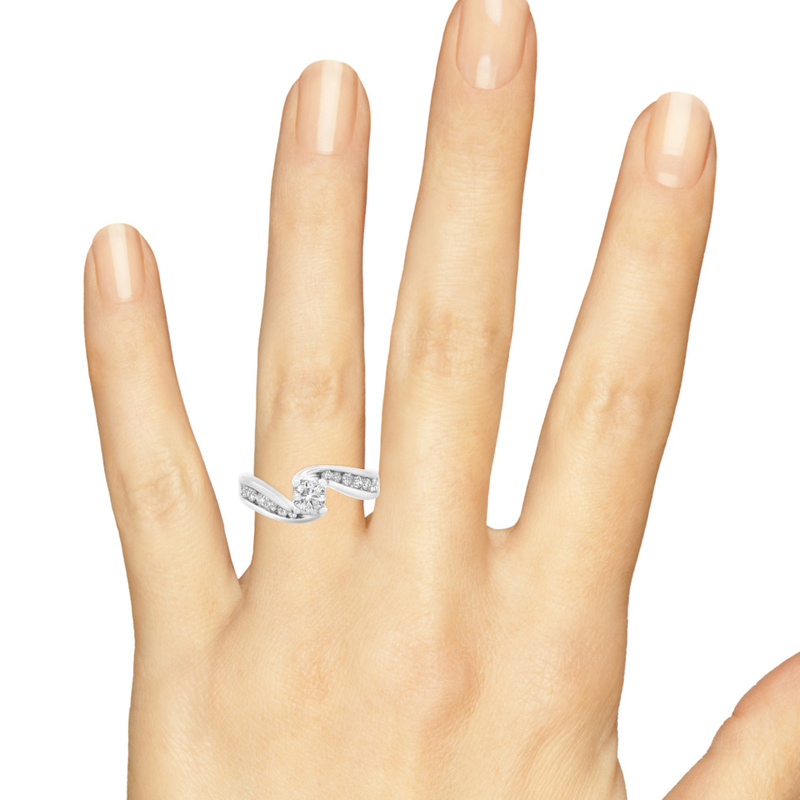 An interlocking body shape features two ring designs, fused together to create one unique style. 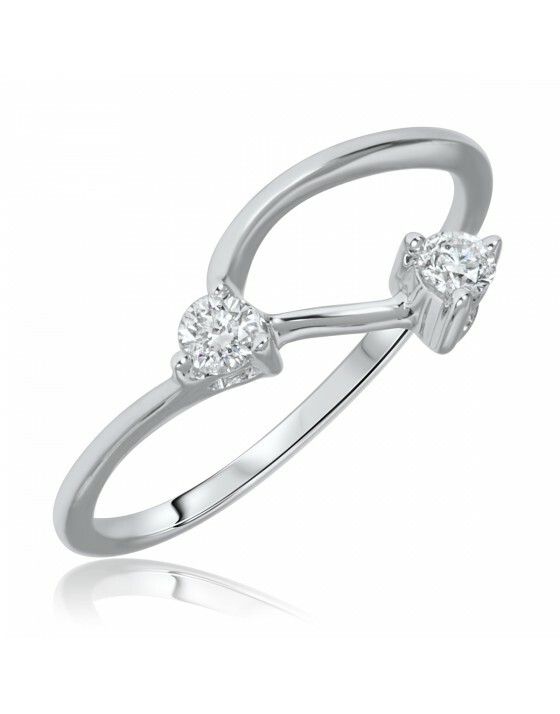 Interlocking prongs create the center stage for the magnificent center diamond. It’s effortless for the two of you to be together. Sure, relationships require work and commitment, but that comes naturally to you. You simply seem like you were made for each other. 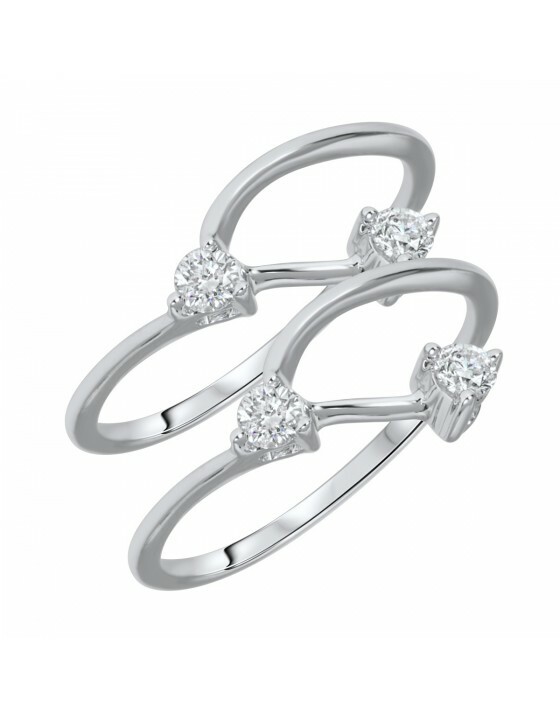 For your proposal and marriage, choose this diamond ring set that shows how seamless a fit can be. 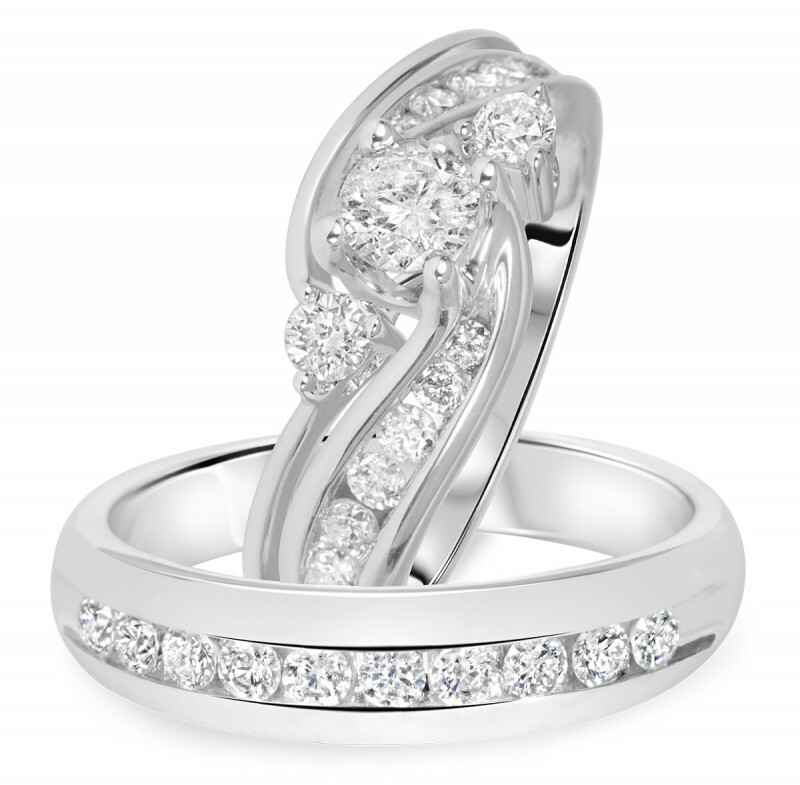 The engagement ring and wedding band are made to become one intertwined ring, and the men's wedding band effortlessly fits the look of the style. 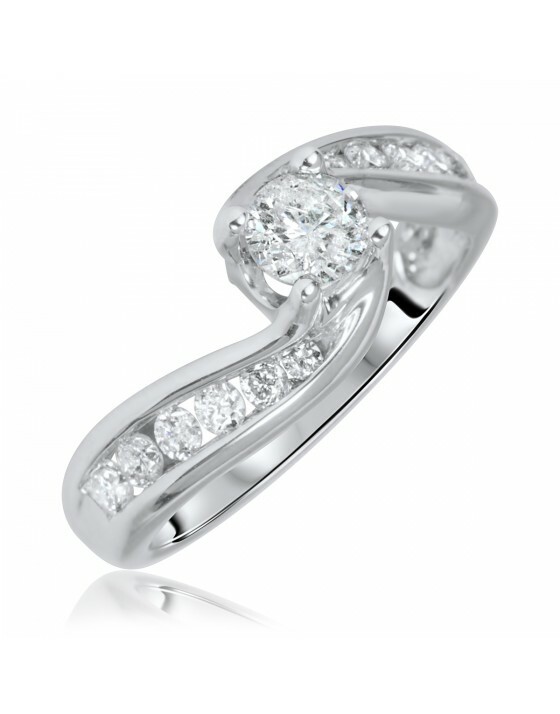 This 1 1/2 CT. set includes 25 round conflict-free diamonds in 14K White gold. 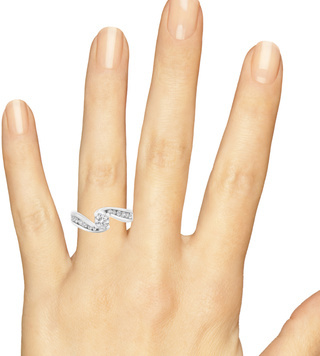 This diamond engagement ring is designed with a fluid curve of round diamonds in a channel setting that flow around the center round solitaire. This ring has a unique appeal that shares the movement and beauty of life and love. 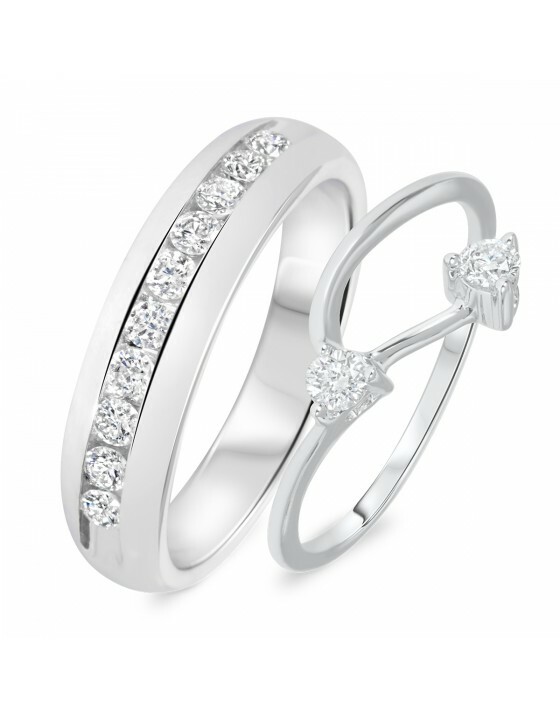 It fits perfectly with the specially designed diamond wedding ring, just like the two of you fit perfectly together. 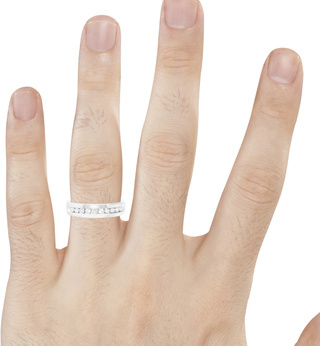 This wedding ring is not designed to be on its own – it’s meant to be part of a pair with the engagement ring. 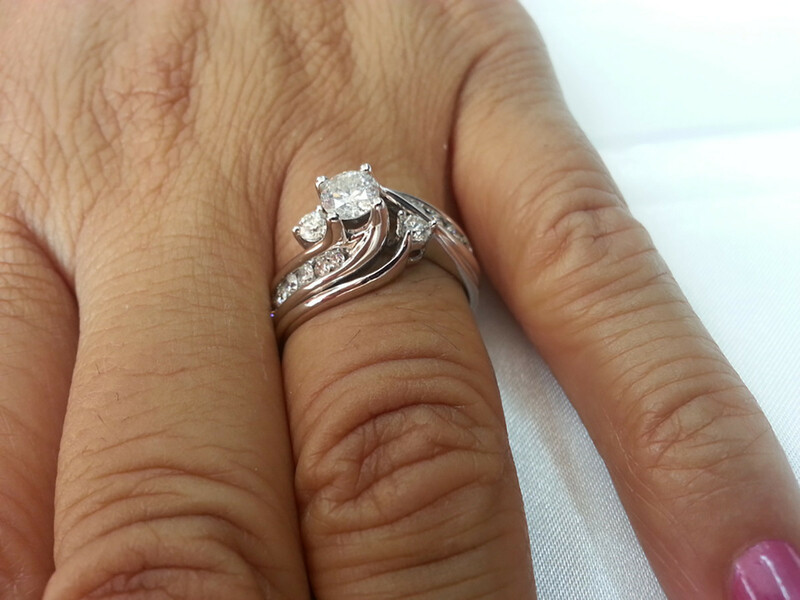 Its 14K White gold band fits to the curves of the engagement band. When you put the rings together, the round diamond accents fit with the solitaire to sit on either side of it – where they’re meant to be. 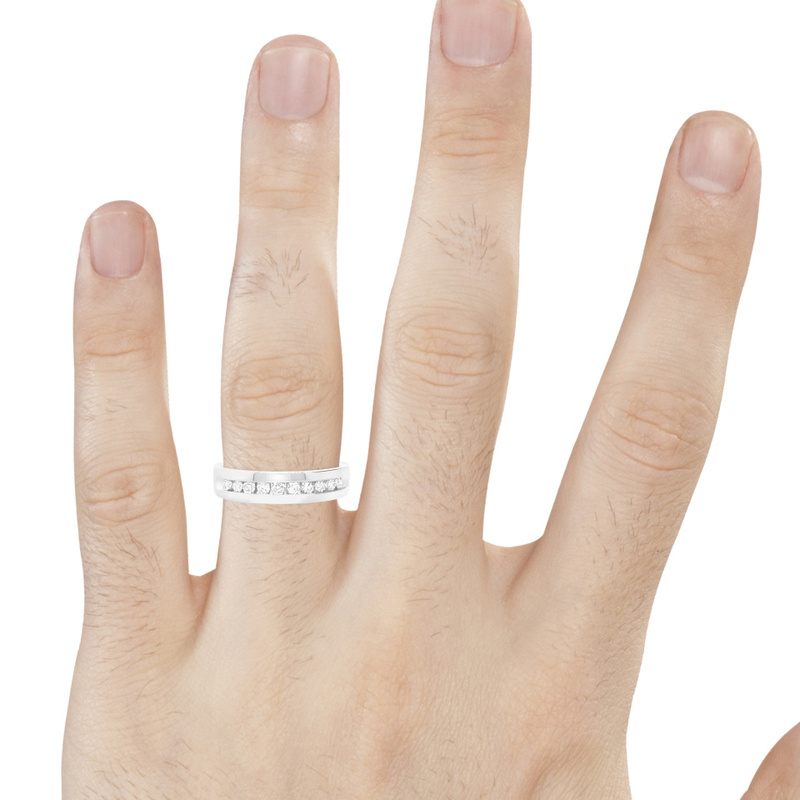 This stylish men's Band features a curved design that adds appeal to the ring. 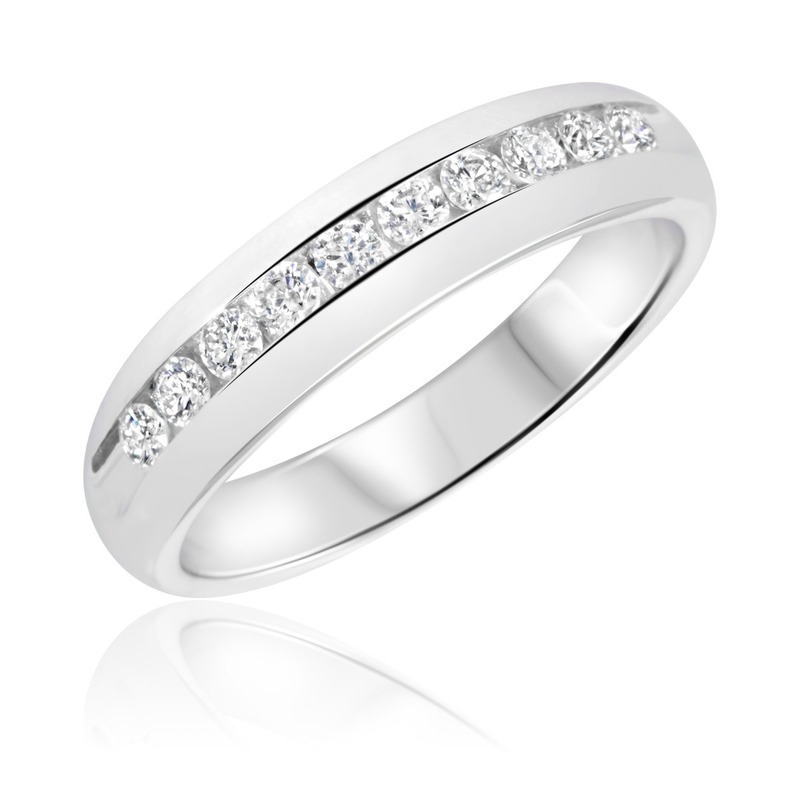 The sparkling 14K White Gold band includes authentic, conflict free round diamonds set into a channel along the front. 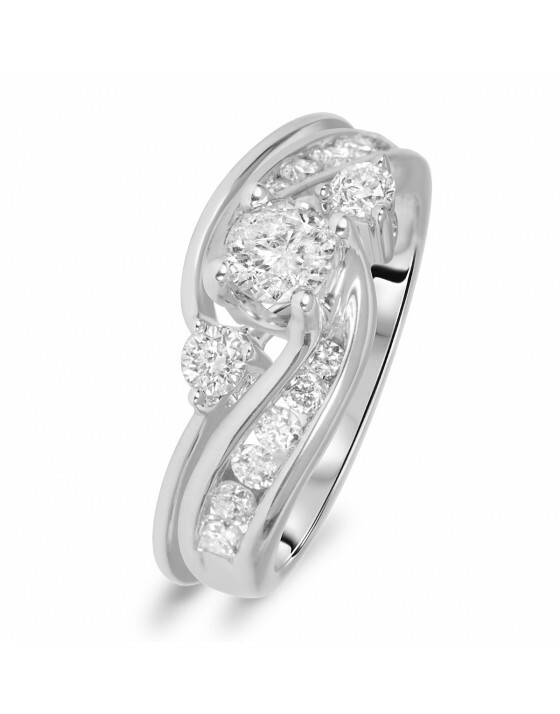 The width of the ring allows the white gold to be on display just as much as the diamonds for a nice balance with just the right amount of pizazz. I love the rings. Better then imagined. They arrived a lot faster then expected. These rings are even more amazing in real life. I can't get enough of them. Fiance loves his own too. I'm happy I found this site.